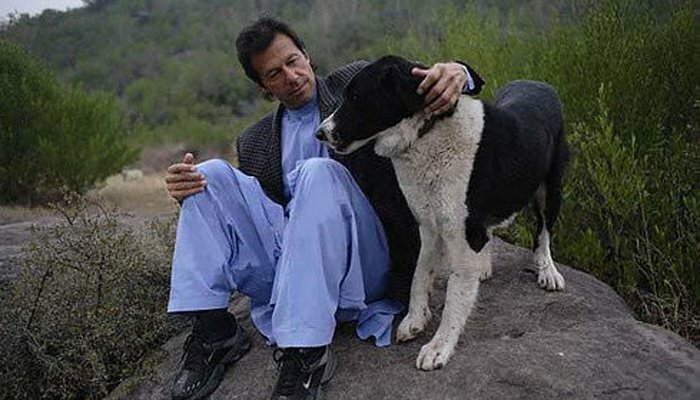 ISLAMABAD: Pakistan Tehreek-e-Insaf (PTI) Chairman Imran Khan on Friday dismissed reports that he has kicked out his pet dog, Sheru, from his Bani Gala residence. “My dog Sheru died three to four years ago,” Imran Khan said while responding to a question during a press conference in Hyderabad. “My Motu (pet dog) is in Bani Gala and I have four more dogs,” the PTI chief laughed. Reports had gone viral on Thursday claiming that a new quarter was being built for Imran’s dog Sheru in the vicinity of Bani Gala but outside the main residence. The reports had also claimed that Sheru was kicked out on the orders of Imran’s new wife, Bushra Bibi. Is Imran khans dog a news worthy item.